A lot of people have tattoos that they regret; maybe they had a few too many drinks and decided that it would be a good idea to get ink done. Others might have been so head over heels in love that they wanted to declare it by getting their partners name tattooed on them only to have the relationship fizzle out leaving them with an unwanted memento. If you have a tattoo that you regret then you may find yourself on this list or you may be relieved that you didn’t get one quite as bad as these. Here are 5 of the worst tattoo ideas ever. Not only will you have needles injecting ink into your eyelids but you will scare the living daylights out of anyone that you ever sleep next too as it will look like you are sleeping with your eyes open. Think of having those glasses with open eyes on the lenses on for the rest of your life and that’s kind of what it’s like getting your eyelids tattooed. When it comes to talking about a tattoo on your face there’s no need to get into specifics as it any tattoo on your face is always going to be a bad idea and I mean always. There are many people who have decided to cover their face in all sorts of crazy ink such as spiders, webs, tribal patterns and the worst of all, controversial signs or language. Having a tattoo on your face is going to serious affect your life; forget getting a respectable job and good luck finding a partner. What’s that, you don’t care about any of that because you’re in a punk band and you’re anti-establishment? 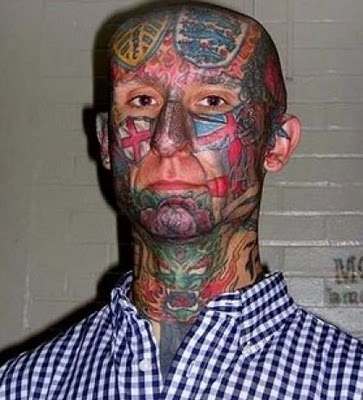 Well in 10 years’ time you may feel different and want a 9-5 job and a normal family life, I’m not saying it’s impossible but with a tattooed face you are making that a very difficult thing to achieve. Getting the face of another person tattooed on is a pretty creepy thing to do. 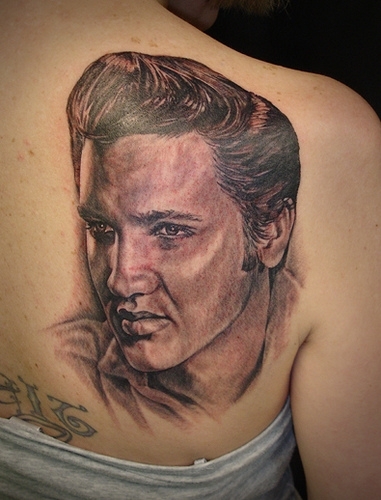 Lots of people want to tattoo their idols on them and popular choices are often, Elvis, Tupac, Bob Marley, Marilyn Monroe and pretty much anyone from Star Wars. Getting the face of your partner or children is also a bad idea, if you really want to see their face every day then here’s an idea, keep a picture of them on your desk. 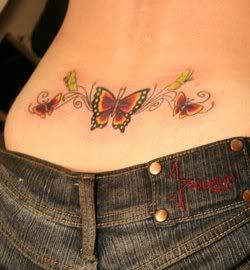 For unfortunate girls in the 90’s and naughties who thought it would be a good idea to get a butterfly tattooed on their lower back they have unwillingly joined the club of the ‘tramp stamp’. This tattoo became so popular that anyone who has it is now classified by it and that classification I, a young girl who likes to party, probably drinks too much and has probably gone out with a lot of men. Of course not everyone who has this tattoo is like that but if you don’t want people to think that about you then for goodness sake stay away from the lower back butterfly. This is an old school classic. If you go into enough pubs then you are bound to find a middle aged man with love tattooed on the knuckles of one hand and hate on the other. First of all, this has become a cliché much like the tramp stamp and secondly it looks terrible. It can also adversely affect your employment chances and it makes people judge you in perhaps a harsh and false way. If you are dead set on getting a tattoo then make sure that you won’t end up regretting it in the future, remember a tattoo is for life, not just for Christmas. Sarah Jenkins works for Laserase in Belfast who perform tattoo removals for people who are regretting their earlier decision.